High ethical principles and professional standards are essential to positive outcomes; rules and regulations, while necessary, are not sufficient by themselves. We think that the CFA Society’s commitment to strong ethics is part of what sets charterholders apart from other professionals in the Investment Profession. We think this is particularly important in light of highly publicized ethical failures and an increasingly skeptical attitude toward the Investment Profession from the public. We would like to reinforce this message by starting a dialogue on FreezingAssets to help promote ethical decision making. The CFA designation comes with an obligation to do more than determine what is legal. We must go beyond the bare minimum of what is required. We want to understand what is right. And to understand what is right, we need to engage in dialogue. 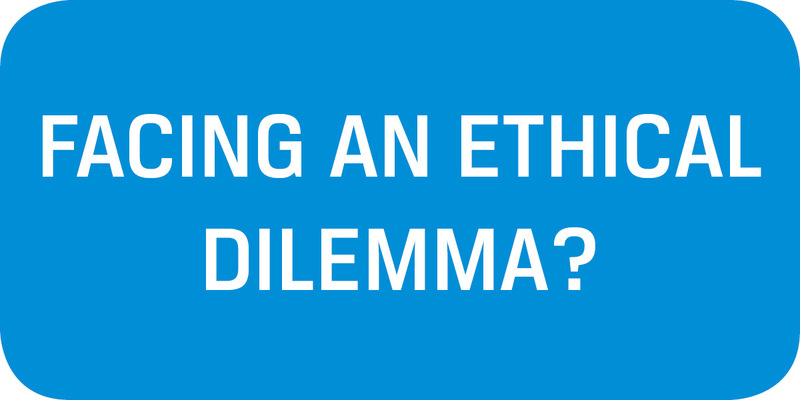 We would like to solicit questions and concerns from members, and then tap into our member base and professional experts to explore the ethical issues involved. So, here are the ground rules. 1) Questions should be submitted anonymously. We don’t want anyone to worry about experiencing negative career impact from engaging in dialogue. So, no real names, no company names. Just situations. 3) Freezing Assets is not providing legal advice. So don’t ask for it. There is a form on Freezingassets.org for submitting questions, situations, or concerns – access the form here. As with much of what we do, this is an experiment. Maybe everybody already knows everything. But we kind of hope there are a few folks out there who are able to challenge us all to think more deeply about what we do. We think that’s really what the Code and Standards are all about. When submitting an inquiry, you agree to the following. Neither the Blog nor the Society is giving legal advice. If you think you need to consult a lawyer or compliance professional you should do so. The Society disclaims any liability for any advice or commentary on this website. The Blog respects the privacy of its participants. I live with a significant other, and we are not engaged or married. We talk about our days at work openly. I strongly trust my significant other, but being in the securities industry I am terrified of inadvertent information leaks and others we know trading on the information. That person agreed verbally never to talk about my activities outside our home. I want to keep myself covered, but I also want to be open to my significant other about my life’s work. What can I do? You raise some good points but have nothing to fear. You are smart and it is prudent to agree with your significant other that he should not discuss anything about your work with third parties. This understanding should also include not tipping or trading on any such information. You, like most people, naturally want to talk at home about what happens at work since we spend so much time at work. The need to share with our significant other often conflicts with employment and compliance policies that prohibit disclosure of proprietary information, and securities law and fiduciary duty restrictions that prohibit disclosure of work-related activities. This issue got a lot of attention recently when the SEC Enforcement Division brought an insider trading case against Filip Szymik, whose roommate worked as an analyst at William Ackman’s Pershing Square Management. Szymik learned from his roommate that Ackman was going to make a public presentation on why Herbalife, a publicly traded company, is a ponzi scheme. Szymik had told his roommate that he would not trade on the information. Despite the understanding, Szymik told a friend named Peixoto about the upcoming presentation. Peixoto bought put options that traded in the money when Herbalife stock tanked after Ackman’s presentation. Peixoto made only about $47,000. The SEC charged Szymik with insider trading for tipping material nonpublic information to Peixoto who traded on the information and made a profit. This case demonstrates the risks of trading and tipping material nonpublic information, and shows that the SEC will bring cases even against relatively small players to deter misconduct. You have nothing to worry about from the SEC if you do not disclose material nonpublic information that your significant other could trade on or tip to another who trades. What constitutes material nonpublic information is often a difficult interpretative question. Because Ackman is a prominent activist investor and his views and positions will affect the market, his views on Herbalife were clearly material. Materiality is usually defined as what a reasonable investor would deem to significantly alter the total mix of information available or what a reasonable investor would deem significant in making an investment decision given the total mix of information available. The SEC has not defined materiality, it has been defined in court cases. Usually, but not always you know if you have material nonpublic information. If you learn about key events before they are public such as a merger, tender offer, earnings information, loss or acquisition of key contract or business relationship and the like, you probably have material nonpublic information. If you are trading for a client that is acquiring or disposing of a large position, you probably have non-public information. If you need to talk about your work at home, try to talk about work in a general way without revealing nonpublic information to avoid breaching duties to clients, violating employer’s policies or securities laws.